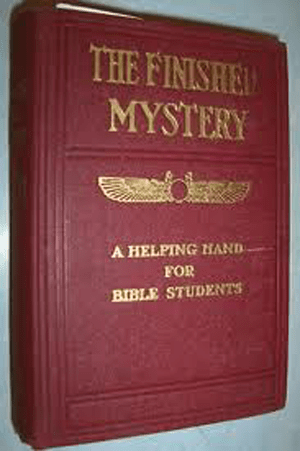 The Finished Mystery, considered as Volume 7 of Studies in the Scriptures, was first published in 1917 by the Watchtower Bible and Tract Society. It was advertised as the posthumous work of Pastor Charles Taze Russell but written by C. J. Woodworth and George Fisher and authorized for publication by J.F. Rutherford, second president of the Watch Tower Society.